What does ‘Enlightenment’ really mean? What is the process of awakening? To many, awakening is the journey one takes from limitation to freedom, unconscious to conscious. You may have chosen this path, seeking a new way of life, or an unexpected experience may have kick started your journey. Regardless of how it began, once you are on the path to enlightenment there is no turning back! One you have begun your journey as an awakened soul, you will find that you attract others, recognizing one another’s vibrations subconsciously during your encounters. Regardless of whether one is fully awakened, or simply starting their own journey, you will be drawn to one another. This first stage is often responsible for your conscious desire to make a change. You are feeling frustrated with how your life is currently going, and this is creating a need to make some changes in order to claim your life back. You begin to recognize that your life is your own responsibility, and your happiness is not dependent on other people or circumstances. This realization ignites your energy, activating both your chakras and your soul. At this stage the way in which you view the world around you begins to shift. Your emotions are heightened, and you begin to experience ecstatic emotions such as freedom, bliss and euphoria. Despite these emotions, pain is still present. You begin to question and challenge every step of your life leading up to this moment, and pains from your past confront you. You are now beginning to experience both the early realization of the joy that is to be found in pursuing this path, as well as the first signs of the struggles that you will have to endure along your journey. This creates an emotional tug of war – torn between closing your eyes and opening them wider than they have ever been before. You will decide whether or not to continue on this path, which will be a critical decision as those who continue will experience transformation, where as those who do not will go back to sleep. You begin to develop an understanding of the connection between yourself and the world at this stage. You are now able to see that you don’t need to focus on changing the world, as you can change the world by changing yourself. Drawn even more to the knowledge of spirituality than you have been up to this point, you find yourself wanting to spend your free time researching and studying all things metaphysical. You have the realization that you have been sent to Earth for a higher purpose. 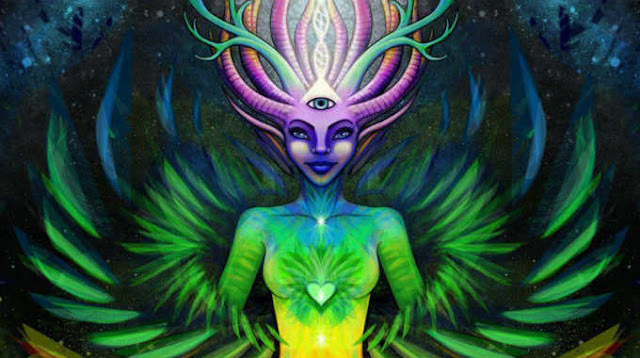 Your understanding of the connections that exist has now expanded to include the interconnectedness of everything around you such as the starts, nature and the animals. You see everything, yourself included, as an integral part of the universe as a whole. You are developing a better understanding of just what shapes your reality, such as your thoughts, feelings and emotions. You are able to begin taking steps to shift your lifestyle to support your new views. You have now been able to find more clarity as to your purpose in the universe. You are no longer focused on the tangible and material things around you, but instead have shifted your focus to the greater power of both intention and energy. You are beginning to see your authentic self emerging, pushing you towards your higher purpose. Your life begins to transform at this stage, and you are now able to see your destiny more clearly than you have previously. You are able to attract abundance through both your ideas and your creations. The experiences and people that are now in your life reflect your new, higher state of consciousness. You are no longer overwhelmed by the challenges of your journey as you feel you are equipped to handle them, both emotionally and spiritually. This is the stage where you first begin to work with the Divine, and realize that you co-create. While this concept may be a little difficult to fully accept at first, once you do surrender to the idea you will find that your ideas become bigger and better than ever. You now have a sense of guidance in your life, connecting with your guardian angels, spirit guides and your higher self. You are now embracing the true concept of unconditional love working alongside the Divine. This is the stage in which you truly understand that the awakening process is making your life easier, secure and more peaceful than ever before. You acknowledge that your life is temporary, a gift given to you to enjoy and experience. You radiate love everywhere you go.